By now, most are aware of the backstory of artist and social activist Emmanuel Jal's life as a former child solider from Sudan, but the Toronto-based recording artist's latest studio project — his sixth — is not about him. 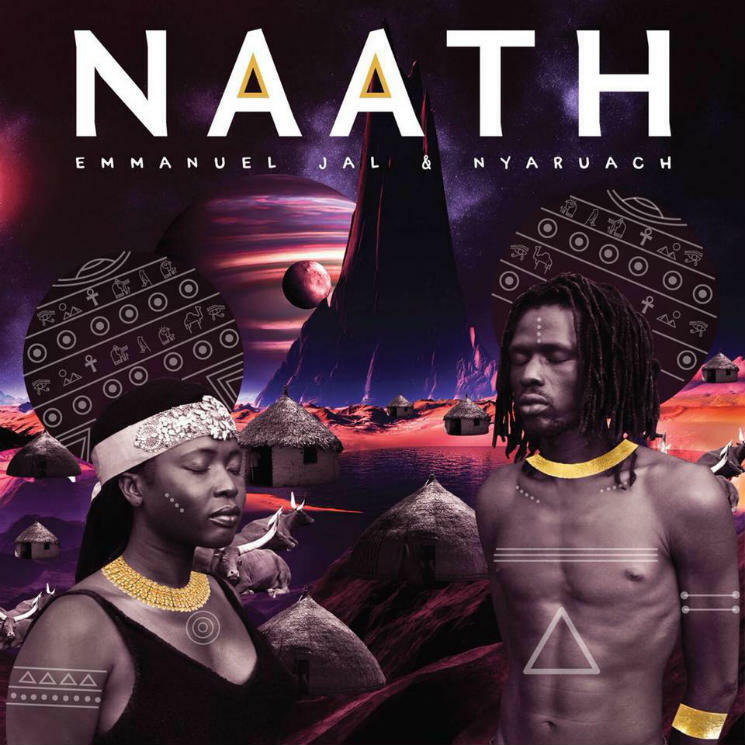 Naath is an Afrobeat album and collaboration with his sister Nyaruach, who currently resides in Kenya's Kakuma Refugee Camp. The word "naath" translates to human and refers to the land and language of the ancient Kingdom of Kush civilization, drawing connections between the glory of the past and the poverty and refugee reality of the present. But, throughout it all, there runs an undercurrent of resilience: single "Ti-Chuong" celebrates tradition rhythms by way of South Sudan Afrobeat; the groove of "Gatlauk" surges with kinetic energy; "Smile," featuring Belgian-Congolese artist Syssi Mananga, leverages electronica sounds to positive effect; the reggae skank of "Warek" deftly weaves in South Sudanese chants; and "More Power" offers a straight-up Afrobeat groove.